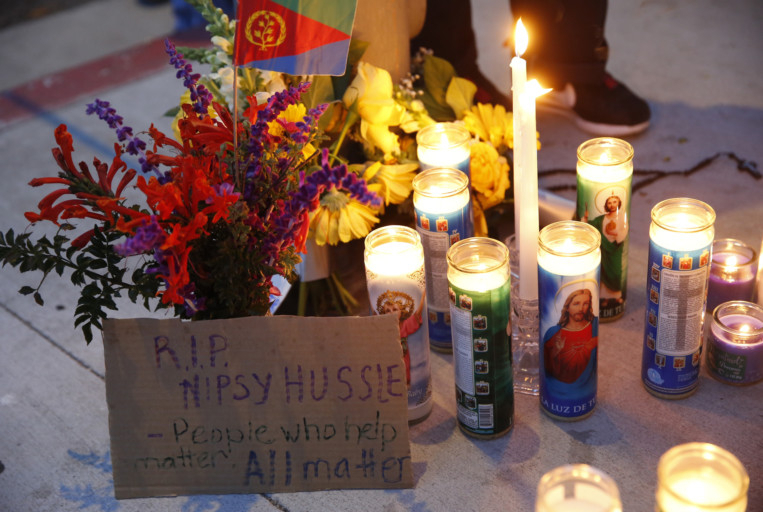 The Los Angeles Crisis Response team said on Sunday that “we lost a great musician” and support has been offered to Hussle’s family. Police said three men were shot on Sunday and one of them killed outside Marathon Clothing, the store Hussle owns. Police said the other two men were in stable condition. 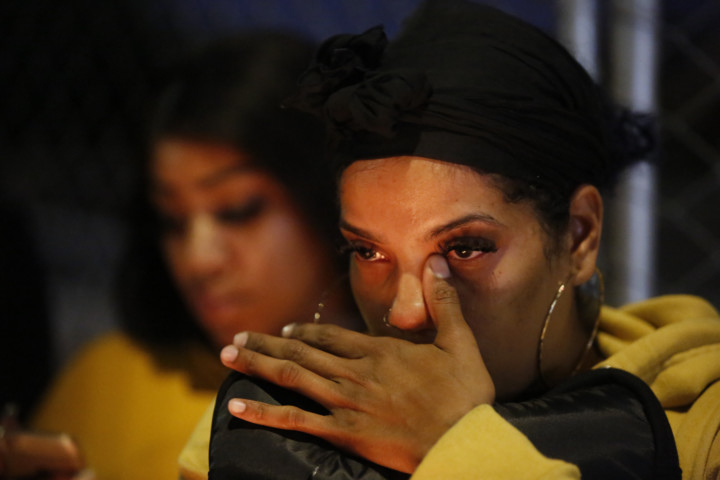 A large crowd of fans and residents gathered behind police lines as night fell. 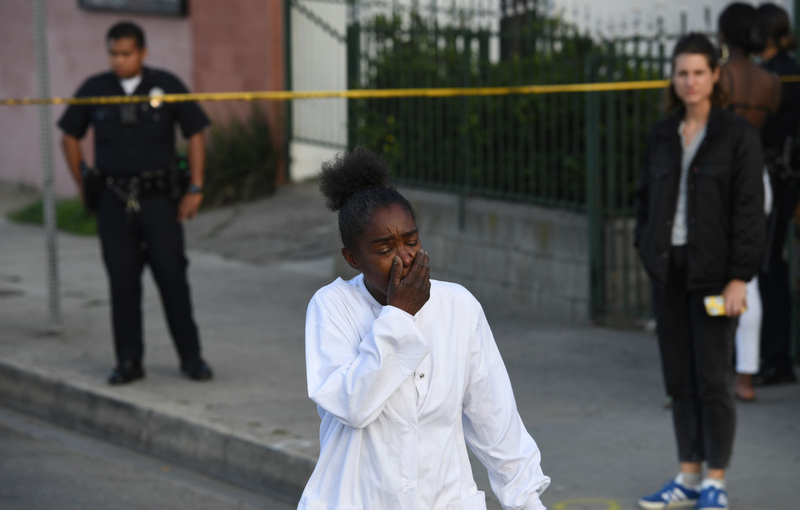 Detectives were canvassing the area for witnesses and looking to see if any surveillance video captured the incident, police Lt Chris Ramirez said. 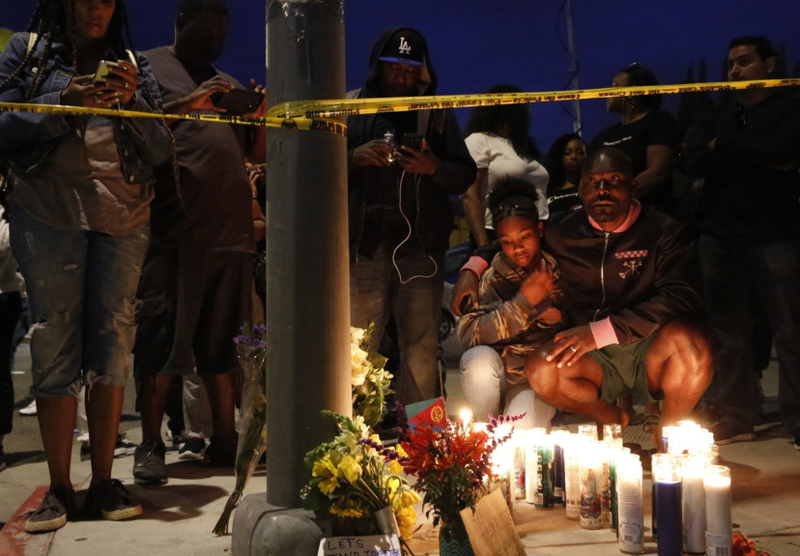 Mayor Eric Garcetti tweeted his condolences on Sunday. Hussle, whose real name is Ermias Asghedom, was born on August 15, 1985, in the Crenshaw neighborhood of south Los Angeles. Music eventually happened for Hussle. The proud West Coast rapper released a number of successful mixtapes that he sold out of the trunk of his car, helping him create a buzz and gain respect from rap purists and his peers. In 2010 he placed on hip-hop magazine XXL’s ‘Freshman Class of 2010’ — a coveted list for up-and-coming hip-hop acts — alongside J Cole, Big Sean, Wiz Khalifa, Jay Rock and others. Hussle continued to build more hype for himself, and Jay Z even bought 100 copies of Hussle’s 2013 mixtape ‘Crenshaw’ for $100 (Dh367.2) each, sending the budding rapper a $10,000 check. 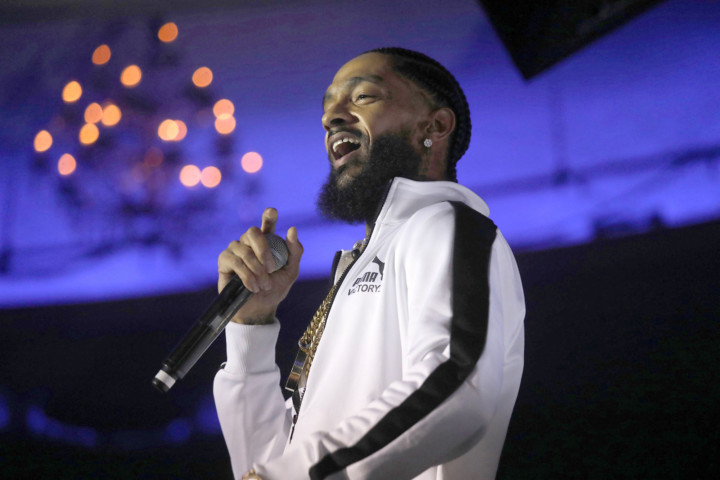 But Hussle, who was once signed to Sony’s Epic Records, hit a new peak with ‘Victory Lap,’ his critically acclaimed major-label debut album on Atlantic Records that made several best-of lists last year, from Billboard magazine to Complex. The album debuted at No 4 on Billboard’s 200 albums charts and featured collaborations with Kendrick Lamar, Diddy, CeeLo Green and more. At this year’s Grammy Awards, ‘Victory Lap’ was one of five nominees for best rap album in a year that hip hop dominated the pop charts and streaming services and a number of top stars released projects, including Drake, Eminem and Kanye West. Cardi B’s ‘Invasion of Privacy’ won the honor last month, while the other nominees were Travis Scott, Pusha T and Mac Miller. “It’s my debut album so for my first one [to be nominated] out the gate, it’s like, it was overwhelming a little bit. It was ... inspiring, humbling,” he said in an interview with the Recording Academy on the 2019 Grammys red carpet. “Prayers out to the whole family man. This [stuff has] got to stop man,” he said in the second video. In 2016, Hussle and rapper YG released the protest song “FDT,” short for “[Expletive] Donald Trump,” criticising the US President’s policies when he was the Republican presidential candidate.